Today we were able to devote the day to cleaning up in the kitchen. The boys spent the day with their grandparents, which made things a lot easier. The cleaning up is being done as part of our plan to sell our house in the next few months. We were quite productive today, and managed to cross a few things off our to-do list. 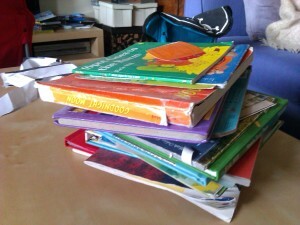 One of those things was to carry out repairs on the boys’ books which have been damaged. I armed myself with some stickytape, and got to work on the pile of books. 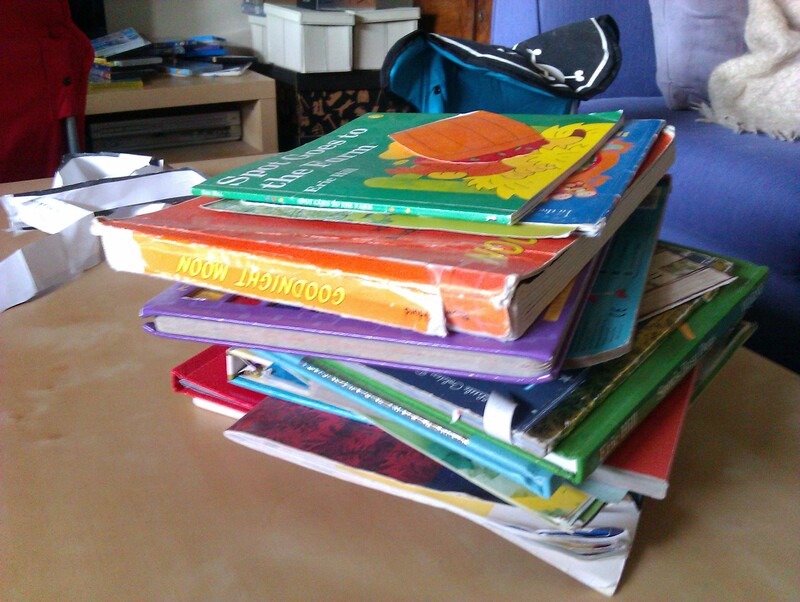 It didn’t take too long, and I came across books that I’d forgotten the boys had. 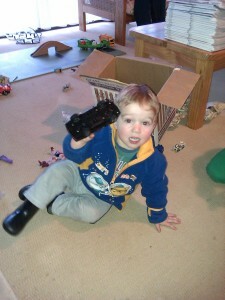 Thomas was quite pleased to discover some of these long-lost titles when he returned home. The boys had a good time at my parents’ place. When I dropped them off, Dad brought out a box of some of my old toys for them to play with. It was a real blast from the past to see the toys – they were classics from the ’80s. There were characters and vehicles from Masters of the Universe, Transformers, and M.A.S.K. Apparently the boys had a great time playing with them. 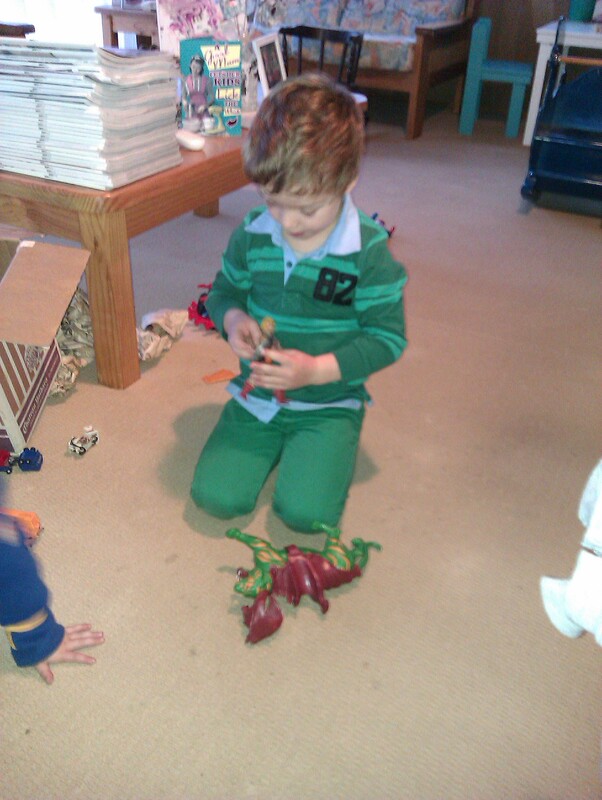 Thomas playing with He Man. There’s still quite a few things left on our to-do list, but hopefully with another couple of days like today, we can make a dent in it. Tagged blogjune, cleaning. Bookmark the permalink.